It’s hard to believe I’ve lived in Jakarta two years already and never managed to make it down to visit the National Monument. 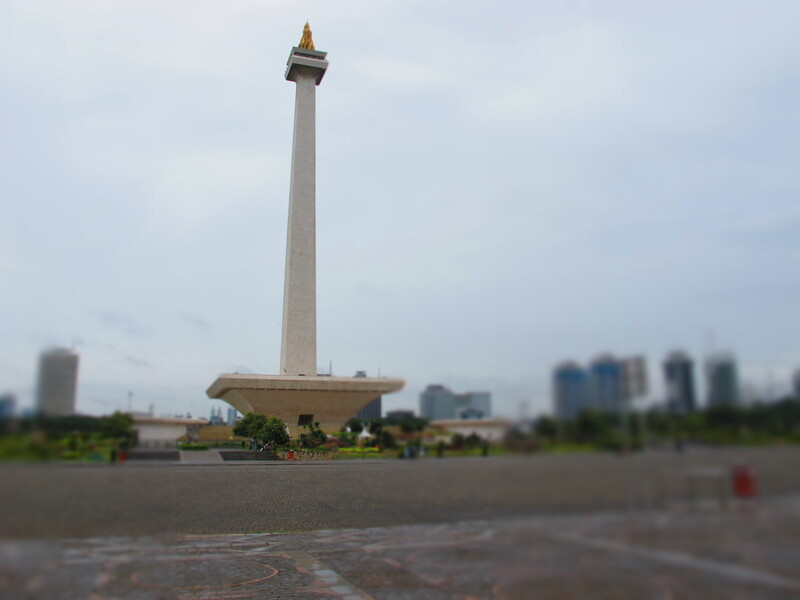 I guess it was one of those things I was waiting to take house guests to…but Jakarta is far away and family has yet to venture over for a visit, so Wednesday morning I found myself staring at this Giant Birthday Candle of a monument. It is impressive. Unfortunately though, on the day I finally went to pay homage to Sukarno’s obelisk, there was a power outage (thankfully before we got in the elevator to gain a bird’s-eye view of the city!) so that 433 ft vertical trip will be one I’ll make with a willing house guest…if one ever arrives. I want to be your houseguest! Thanks Randy! I want you guys to come on over already :) Thanks for checkin’ this little experiment out…you were the first visitor I think. Yeah! I’m glad you are blogging again. I like the way you write and I missed hearing about your adventures. Say hi to everyone for us! Nice! Birthday Candle of a monument! I didn’t think of that, but it’s so true. I like your writing style, too. I didn’t know that you had a blog before. Very cool!